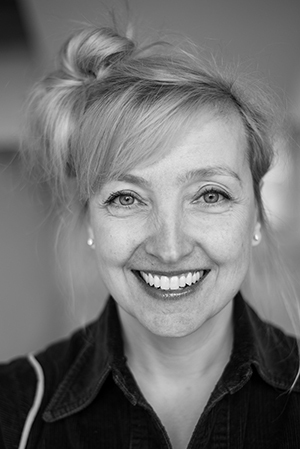 Prof. Anna-Lisa Schoenecker is a multi-disciplinary designer and professor for Information Design at Mainz University of Applied Sciences, Germany with an MA in Communication Design from the Royal College of Art. She began her career at Pentagram working on editorial and corporate design projects for the Tate Gallery, the National Trust, Boot Clibborn Editions and Time Life. Going digital in 1998 first at Syzygy, later at Framfab/Oyster (now DigitasLBi) she led multi-disciplinary design teams to create compelling communication and experience design solutions for the arts and entertainment industry. Anna-Lisa developed award-winning projects for clients such as the South Bank Centre, the Victoria & Albert Museum and Disney. Her fortes are interactive content and cross-media communications. 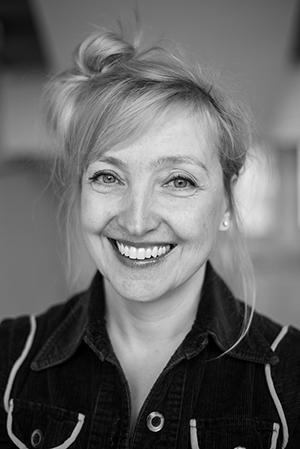 She teaches Information Design and Interactive Media at University of Applied Sciences in Mainz where she focuses on cross-media installations, experience and information design. Her field of research investigates computational thinking skills in early learning. She designed the typeface “White No Sugar” for FUSE and her work has been recognised by the New York Art Director’s Club and One Show Interactive amongst others and published in “Women in Graphic Design 1890-2012” and “G1, Icons of Graphic Design”. Anna-Lisa holds two BA degrees (graphic design and product design) and an MA in communications design from the Royal College of Art.